39min: TRY. 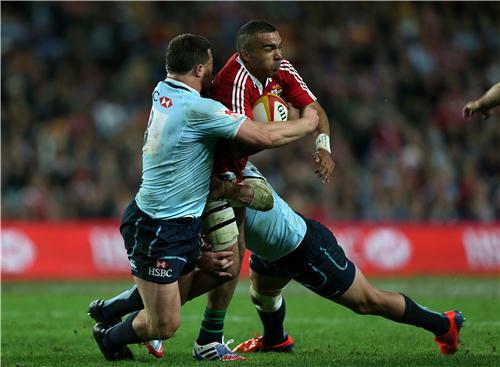 Waratahs 10 Lions 21. 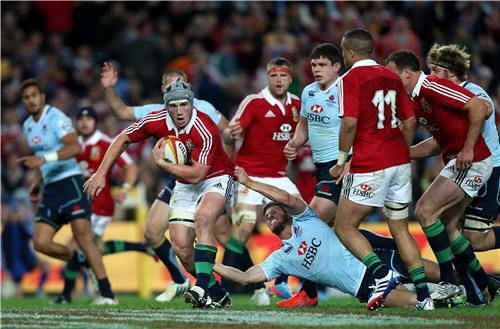 Lions into the 22, brutal series of one-on-ones, AW Jones charges and Halfpenny goes over in the corner. Great try. 40min: CONVERSION. Waratahs 10 Lions 23. Halfpenny does the business and an entertaining first half comes to a dramatic end. Another belting half of rugby. Two things clear: Sexton is being targeted (mostly fairly) and Jonathan Davies is the Lions in-form centre. Great finish to entertaining 40'. POC huge. Zebo clearly eyeing up a Test spot. TYoungs everywhere. Sexton controlling. 43min: Lions march into Waratahs territory, edging towards 22..
44min: TRY. 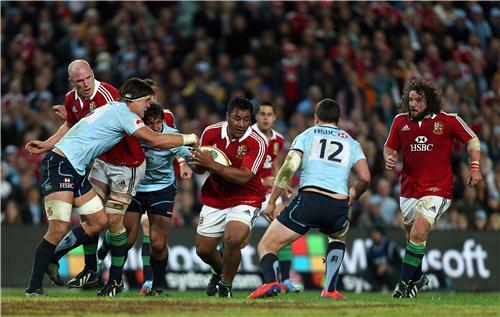 Waratahs 10 Lions 30. Pressure, pressure. Davies again with great hands, Halfpenny racing through on the angle. Best try of the match. Halfpenny of course adds the conversion. He's got 25 points already! 46min. TRY. 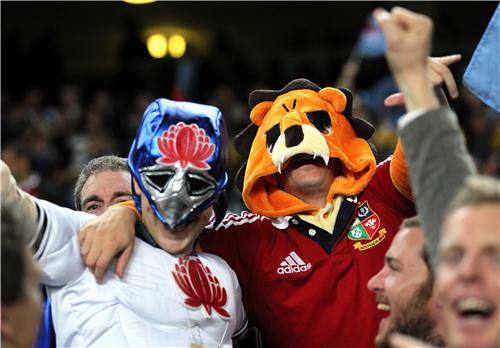 Waratahs 15 Lions 30. Lions fall asleep defensively and Carter crashes over from close range. A bit of a dust-up afterwards as tempers begin to fray..
49min: Sorry, ISN'T done and dusted yet!!!! 55min: TRY. Waratahs 17 Lions 38. Interception by the excellent Davies and Lions counter attack wide. Croft gallops over in the corner like a mad giraffe.